Gov. Deal speaks at the State Capitol about efforts for hurricane cleanup. Thursday morning was the first chance for Georgians to assess the damage done after Hurricane Michael made its way through the state Wednesday evening. Gov. 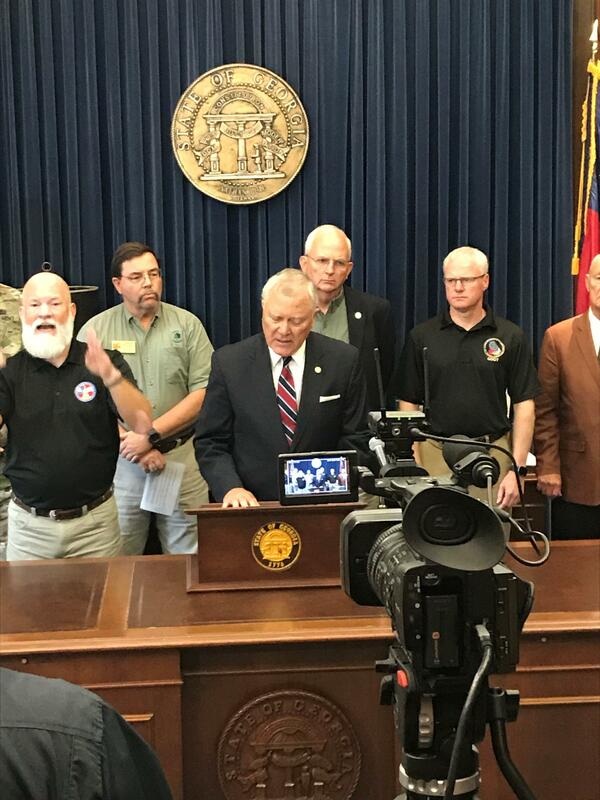 Nathan Deal spoke from the State Capitol in Atlanta and said state officials were in the early steps of storm cleanup. There were more than 200 roads blocked by debris after the storm and many chainsaw crews out working to clear roads. Deal asked for one thing from the people hardest hit in the southwest corner of the state. "First of all, be patient,” Deal said. “The most important thing for them is to get their roadways cleared and get their power restored." He said damage done varied greatly around Georgia. "It depends on who you talk to,” the governor said. “If you're one that got hit, it was a real disaster, obviously." That disaster is a reality for many farmers. On Wednesday, Department of Agriculture Commissioner Gary Black said the state’s pecan and cotton crops were at serious risk. A day after, he spoke somberly about the impact. Black said he is working with U.S. Secretary of Agriculture Sonny Perdue to figure out a way to help farmers who were affected. President Trump declared a federal emergency for certain parts of the state in the aftermath of the storm. Deal said he spoke with the president and Georgia will get help mainly for cleanup purposes. He also said they anticipate Trump will make a visit next week.